Considering the floor plan of your new or redesigned dental practice may not generate as much excitement as the process of choosing paints, lighting and other interior design elements. But your dental clinic layout design is critical to the functionality of your business, the productivity of your staff and the satisfaction of your patients. In this article, we reveal a few of the most important considerations when designing a dental clinic floor plan so that your practice can enjoy long-lasting success! Ensure a positive first impression. What is the first thing your patients are going to see when they step through your clinic’s front doors? Will it be your smiling reception staff or a welcoming and stylish waiting room? Consider the natural flow of your patient’s journey through your practice from the moment they arrive, to their departure. Where will they go first? What will they do? 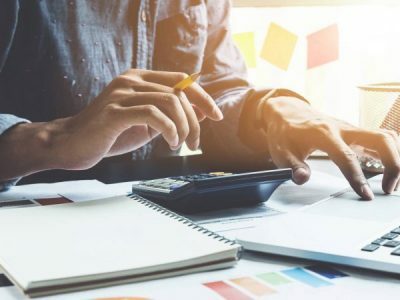 How will the layout of your practice guide them effortlessly through their appointment so that they do not take any wrong turns or become confused as to where they should be? Correct practice signage is integral for directing your patients to the right areas. Good design, however, should also encourage your patients to take the right route intuitively. Consider public vs. private rooms. 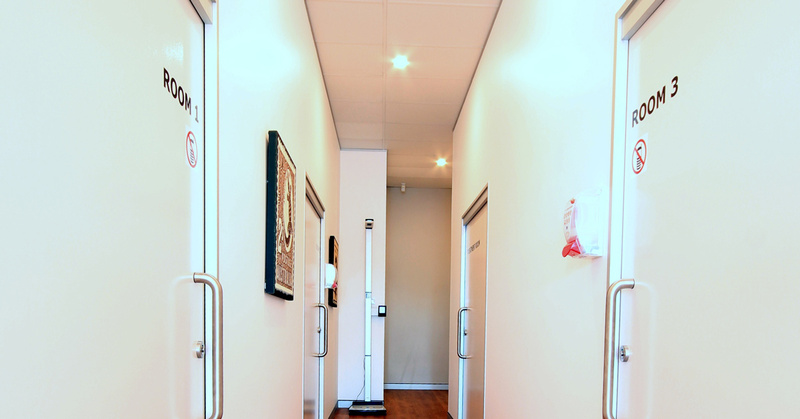 Make sure your dental clinic layout design focuses on separating public areas such as the waiting room and hallways to surgeries, from private rooms like the staff room, sterilisation room and offices. Ideally, you don’t want your patients to have to walk past the staff room to get to a consultation room or surgery. Your staff should feel comfortable in the break room, without having to constantly creep around quietly so that patients are not disturbed. Your floor plan should make it evident which parts of your dental clinic are private, and which areas the public can access. This can be achieved by placing public areas at the front of the tenancy space and keeping private rooms at the back. It can be challenging, however, if your tenancy space is an odd shape (triangular instead of square, for example). In these cases, it’s always best to consult a dental clinic fitout specialist to determine the best floor plan for the functionality of your practice. 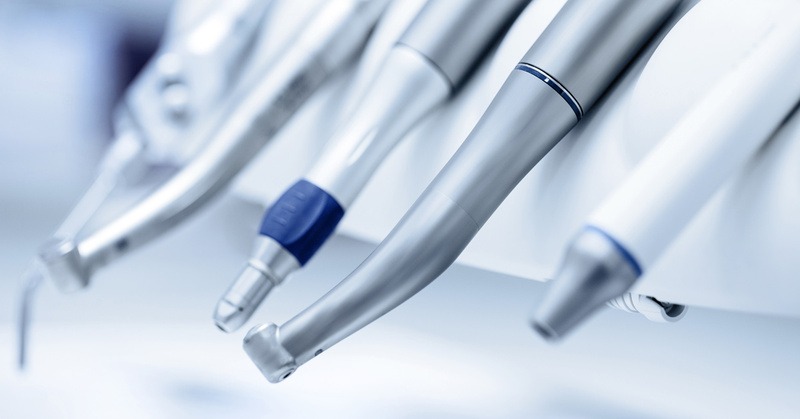 Be sure to think carefully about the size and accessibility requirements of your dental equipment. How much plant equipment needs to fit in the plant room? How many autoclaves, ultrasonic baths and thermal disinfectors will reside in your sterilisation room? How big are these machines? If you are starting a brand new dental practice, think about the number of dentists and dental hygienists that will need to share facilities and your expected patient capacity. Make sure you leave enough room for possible growth and investment in new equipment. 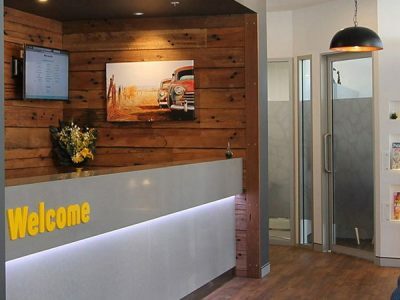 Again, a dental clinic fitout specialist can assist you to optimise your space for the present while also planning for future growth by undergoing project staging when designing your dental clinic layout. Be aware of fire safety regulations. Make sure your dental clinic floor plan complies with fire safety regulations in your building. You may find that there will be restrictions on the level of autonomy you have over your design because you must ensure that fire exit doors remain accessible at all times. Similarly, you will need to incorporate smoke alarms and fire extinguishers into your floor plan. It’s best to be aware of these restrictions from the get-go so that you can position workbenches and cupboards for better space efficiency around these essential items. Your practice will also need to have an approved fire escape route, optimised for the quick and orderly evacuation of staff and patients in an emergency situation. Common sense compliance applies here. No equipment blocking doorways or exit routes! A well-designed dental practice should ensure everything fits safely in its designated space for better workflow and safety. Do you require assistance with your dental clinic layout design? Dentifit, Queensland’s leading dental clinic fitout specialists, can help you to create the perfect practice floor plan to increase productivity, enhance your patient’s experience and comply with building regulations. Contact us today to request a free consultation. 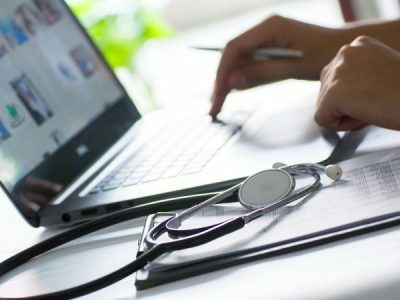 How Can A Doctor’s Practice Be More Present Online?